Every year Madison Social shows us how they make one of their favorite appetizers. 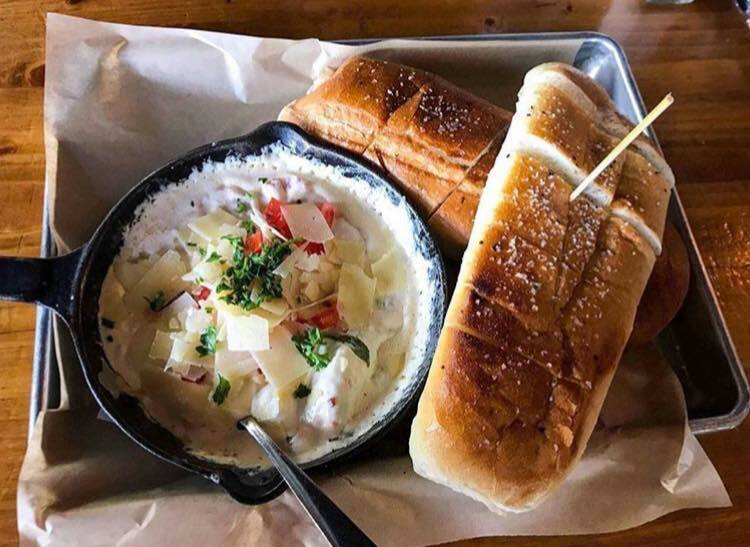 The Best of Tallahassee winner and local favorite, Madison Social, might just be known for their BLT Dip more than anything else. That’s why every year around the holidays they release their recipe for all of us to enjoy. You can make this dip for family or bring it with you to Friendsgiving. Either way, you’re sure to get compliments. In a mixing bowl combine and mix together all ingredients. Add BLT Dip mixture to a small cast iron skillet. Bake BLT Dip in the oven for 15 minutes. While BLT Dip is cooking, top Cuban loaf with melted butter and salt and pepper to taste. Bake in the oven until top of bread is golden brown. Remove cast iron skillet from oven. Top with tomatoes, bacon, shaved parmesan, and parsley. Then it is ready to serve. Enjoy!